West Side Detroit Polish American Historical Society’s Eighth Annual Pilgrimage & Swieconka On Saturday, April 11, 2015, Was A Huge Success! 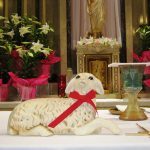 The West Side Detroit Polish American Historical Society was once again blessed with a gloriously gorgeous spring day for its Eighth Annual Pilgrimage & Święconka, and what a day it was! 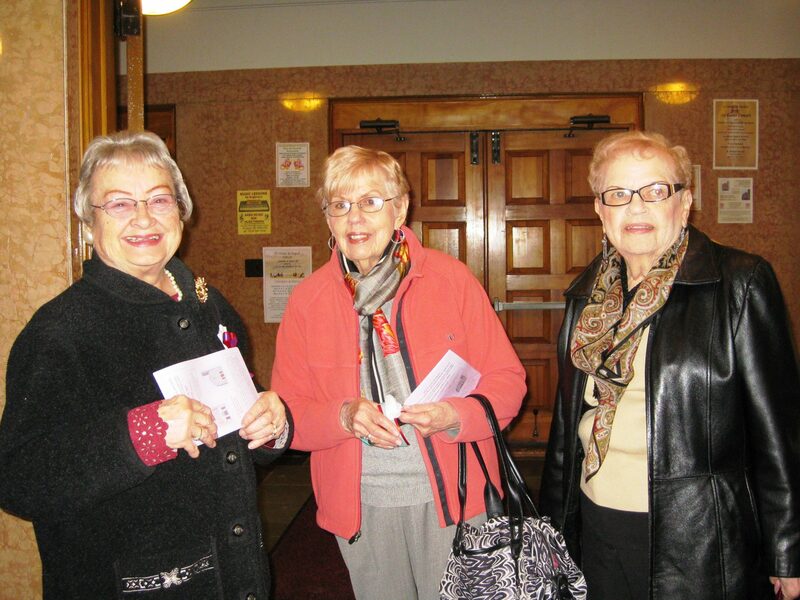 Thirty-four happy pilgrims came out to make the event a huge success! We started out at 11:30 a.m. at historic St. Cunegunda Catholic Church at 5900 St. Lawrence Street in our old west side neighborhood. As we gathered in the church vestibule, beautiful Polish music could be heard echoing throughout the church over the speaker system. 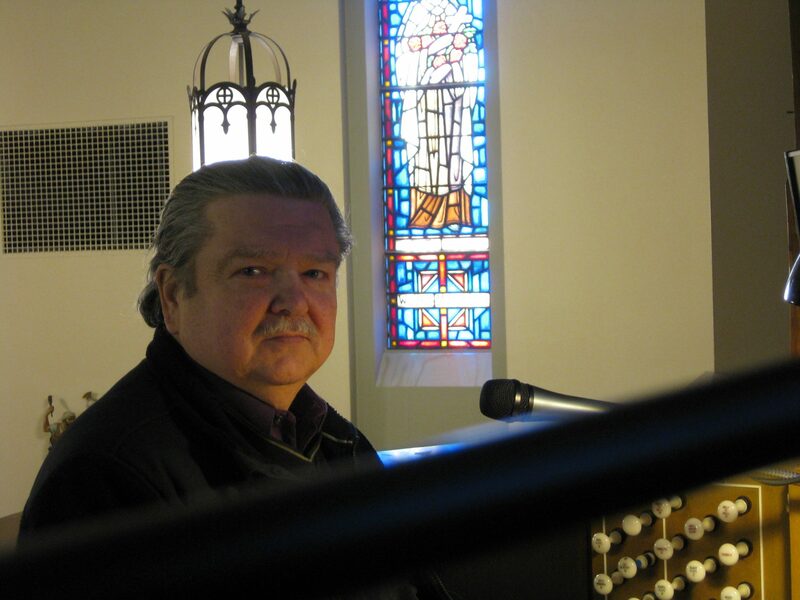 This was made possible by St. Cunegunda and St. Barbara’s organist, Mr. Kazimierz Jędralczyk, who walked around and greeted guests as they arrived. Sunshine was pouring in through the stained glass windows, and it was wonderful to see so many people returning to the church and the neighborhood of their childhood, eager to share their memories. Some brought photographs of themselves when they were young, standing in front of the church, or described how they were baptized at St. Cunegunda, confirmed, and married there. Society Vice President & Executive Director/Secretary Laurie A. Gomulka greeted everyone. 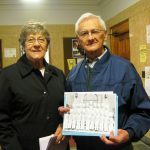 As is customary at this event, we were led in a decade of the rosary in Polish by our member Mrs. Wanda Krupski. Afterwards, Mr. Kaz Jędralczyk accompanied us on the organ and led us in singing three Easter songs: Wesoły nam Dzień dziś naStaś, The Strife is O’er, and WStaś Pan Chrystus. Our Society’s president, Rev. Gary Michalik, then gave an in-depth and very interesting history of the parish. The church was founded on August 3, 1927, by Rev. Alexander Wilczewski. The architect of the original church was named Gorsztecki. The church’s namesake is Swięta Kinga of Poland (March 5, 1224 – July 24, 1292), patroness of Poland and Lithuania. Fr. 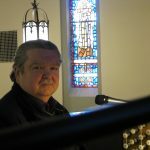 Gary said that each family was expected to contribute $100 toward the construction of the church when it was built, which today would be the equivalent of about $10,000. 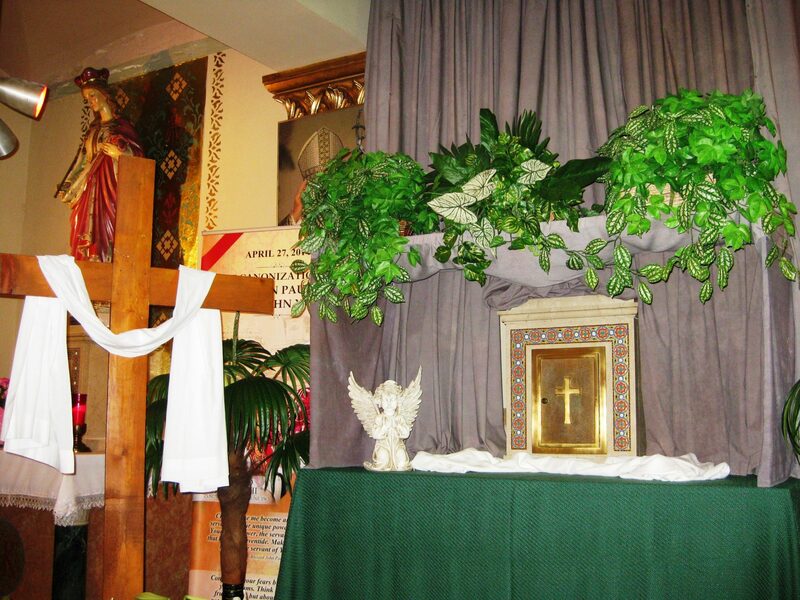 This is an example of how devoted and dedicated our Polish ancestors were to their parishes. St. Cunegunda was constructed as a national Polish parish and parishioners had to be of Polish descent in order to attend there. Churches designated as national Polish parishes were churches where Polish people worshiped. It was recognized that there was a need for Masses in Polish for the Polish people in those neighborhoods. Churches such as St. Lawrence, St. Christopher, St. Thomas Aquinas, and St. Suzanne were designated as territorial parishes and anyone could attend the territorial churches. They were non-ethnic parishes. Fr. Gary described in detail each of the icons, statues, and paintings throughout the church and the history behind each of them. Fr. 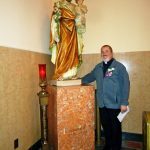 Gary, who lived in the St. Andrew neighborhood and whose family were members of St. Andrew Parish, knew the St. Cunegunda Parish well since it was the parish church of his grandparents. He remembered staring up at the huge paintings on the walls on either side of the main altar when he was a child and being mesmerized by them. 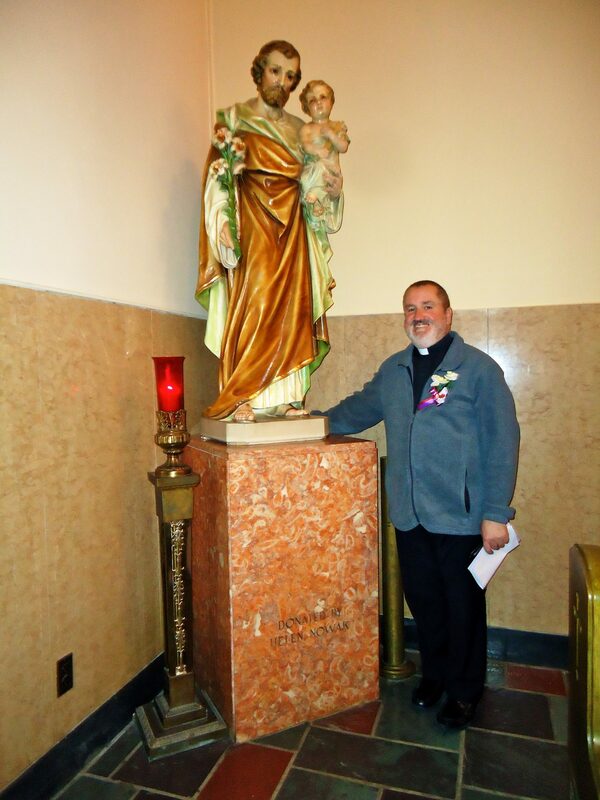 He pointed out a statue of St. Joseph that was donated to the parish by his grandparents. 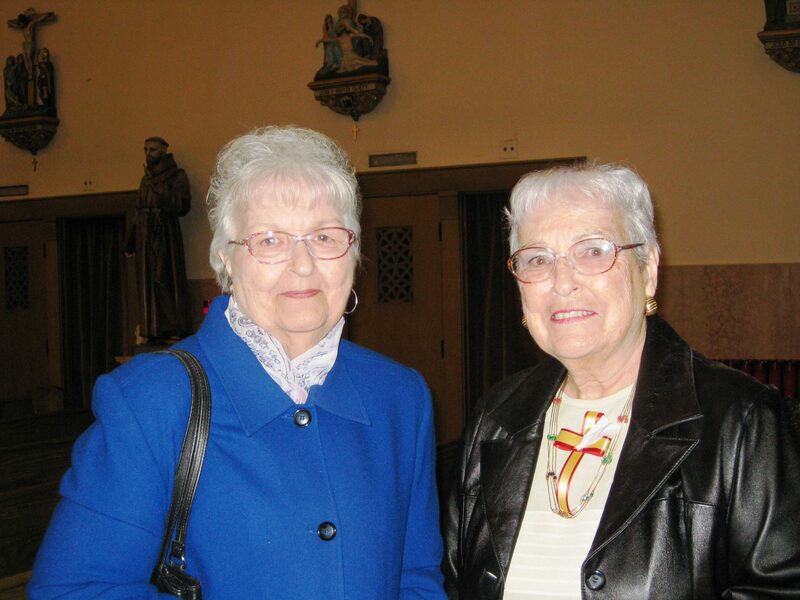 The Sylvania Franciscan Sisters from Sylvania, Ohio, went to teach at St. Cunegunda Parish School, which was built in 1929. Joseph Gwizdowski, architect of the west side Dom Polski, was the architect of the school building. 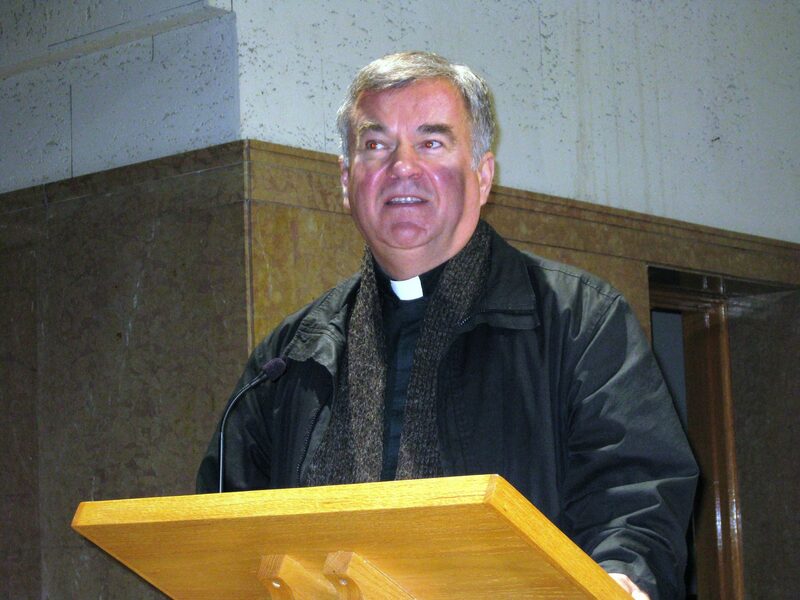 Today, St. Cunegunda Parish is merged with St. Barbara Parish, and the current pastor is Rev. Zbigniew Grankowski. 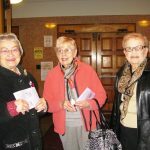 After taking some time to walk around and absorb the beauty of the church, take photographs, and share memories, the pilgrims departed for a short drive to St. Barbara Parish at 13534 Colson Street in Dearborn. 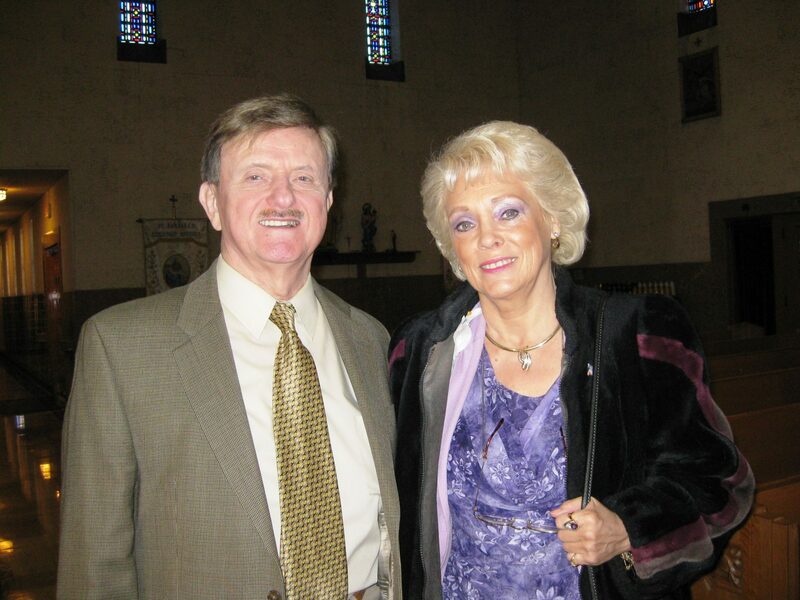 Again, Mrs. Wanda Krupski led us in a decade of the rosary, and then Mr. Kaz Jędralczyk led us in singing four Easter songs: Jesus Is Risen, Let Us Sing, Otrzyjcie już łzy płaczący, Zwycięzca śmierci, and Jesus Christ is Risen Today. Laurie introduced Rev. Zbigniew Grankowski, Pastor of St. Cunegunda and St. Barbara Parishes, who gave an animated history of St. Barbara Parish. The parish was born in a portion of Dearborn known as Springwells at a time when first- and second-generation Americans were coming together to build a new life in a farming community amidst the struggles of the Great Depression. 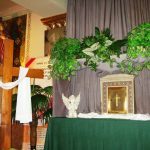 The only other Catholic church in the district at the time was St. Alphonsus, which had been established over 50 years before by German and Irish settlers. The religious education of these Polish-American families was of vital concern. Stanley Swiatkowski owned a grocery store at Michigan Avenue and Schaefer and he offered his store as the main contact point of the parish committee project. 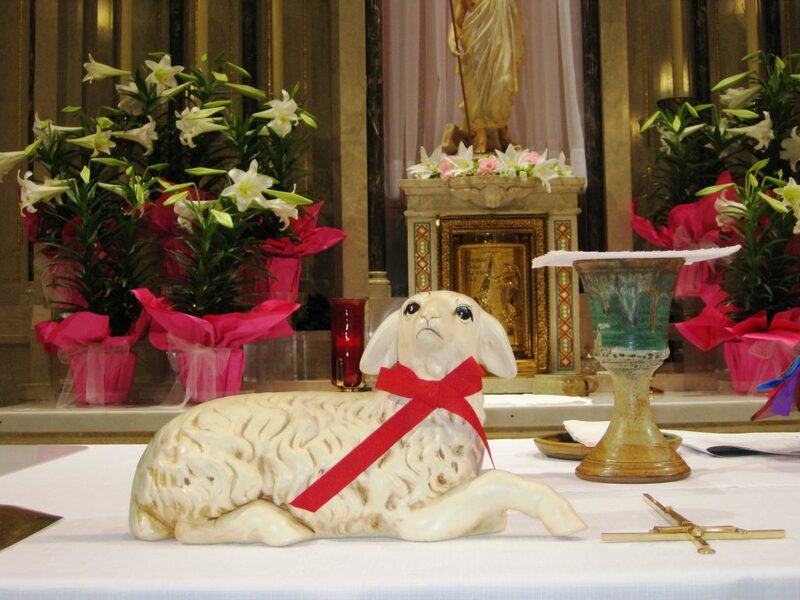 On April 20, 1924, Father Joseph Wilemski of St. Stephen Parish in Detroit celebrated the first Mass at St. Barbara, which was held in the old Township Hall at the corner of Michigan Avenue and Schaefer. The new St. Barbara parish met in the second floor auditorium of the Town Hall above the jail quarters until a new church was built. Local resident John Schaefer, who owned the building, donated the use of the hall and soon also joined the church as a parishioner. The site later became the birthplace of neighboring St. Clement Catholic Church. After the first Mass, a contract to buy land was drawn up and Rev. Raphael J. Chrzaszcz was appointed. John Lukasiewicz, a local builder and real estate agent, offered to purchase 16 lots at Colson and Calhoun Streets from John Schaefer, and Lukasiewicz became the contractor for the one-story brick building with a flat roof and a capacity of six classrooms, four for a school and two for a church. The cost was $46,000.00. Groundbreaking ceremonies for the new church were held on Sunday, September 7, 1924. The cornerstone was laid on October 19, 1924, at what is now the northeast entrance of the school, leading to the Activities Building. Over 2,000 people attended, many from Polish communities in Detroit. On December 4, the feast of St. Barbara, Fr. Chrzaszcz celebrated the first Mass in the new church, blessing a statue of the parish patroness. 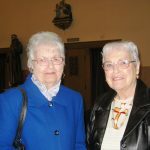 In August 1926, five sisters from the Community of the Sisters of the Holy Family of Nazareth in Bellevue, Pennsylvania, arrived to serve the parish, and they remained throughout the 1980s. 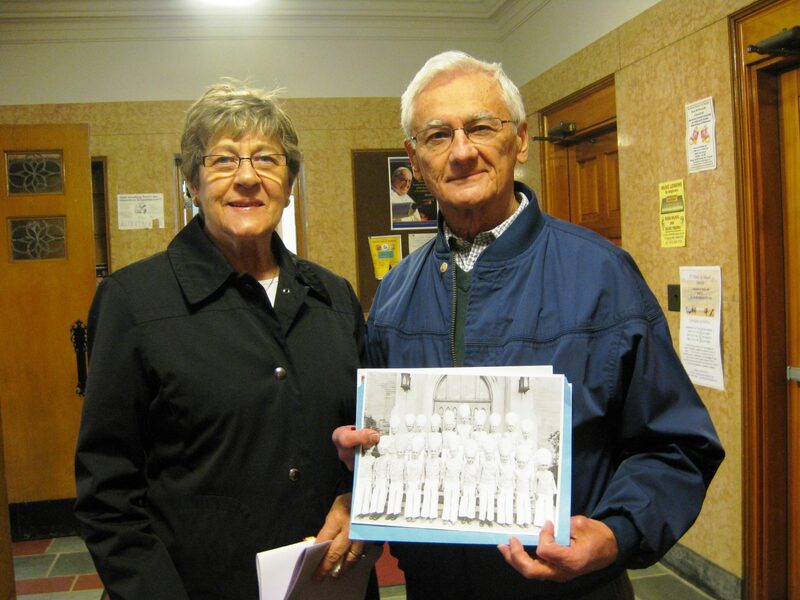 By 1930, the parish had grown to 400 families and the school expanded to almost 300 children in eight grades. In 1945, the parish was holding five Masses on Sunday. By 1948, the church was experiencing huge growth with the return of those serving in the war, the “baby boom,” and the increasing population in Dearborn due to the expansion of industry. The parish served 1,200 families and supported a school of 430 children. In 1953, a new church was proposed. Over $100,000.00 would be needed before groundbreaking could begin on a building that originally was estimated at $650,000.00. Permission from Cardinal Mooney was received in January 1955 to build the new church. Architects A. Frank Herman and Howard T. Simons designed a structure adapted from Spanish mission architecture, known for its simple grace and beauty. The specifications included a façade of Plain Bedford stone and a roof of mission tile. The new church was dedicated by His Eminence Edward Cardinal Mooney in early August 1956. Fr. 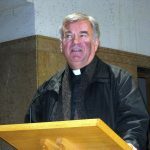 Grankowski is very proud of his parishes and is happy that the Society makes our pilgrimages to Detroit and the old neighborhood churches. 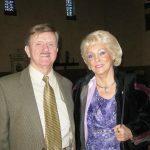 He applauded our efforts to help keep them vital, remarking that there is something distinctly and inherently beautiful about the historic churches. Following the history of St. Barbara, the hungry pilgrims retreated next door to the social hall, where Fr. Grankowski socialized with the guests and then blessed our meal. A scrumptious Święconka was served by Ms. Fran Lacki and her assistant, Ms. Kimmie. Everyone enjoyed the delicious ham, kiełbasa, potato salad, hard-boiled eggs, beet horseradish, rye bread and butter, babka, and cheesecake and coffee, to the accompaniment of Kaz’s keyboard and vocal stylings. Toes were tapping and we couldn’t help but sing along to the lively music! It was a perfect day, and everyone left with new and renewed friendships and hearts full of memories to carry them until next year’s event!